Paulo Nutini, Morrissey and David Gray are among a number of major acts who will play at the reopened York Barbican this year. The venue has undergone a £1.5m refurbishment since SMG UK Ltd were appointed to run it last November. The company says it will offer a "fantastic" line-up of entertainment at the 1,500-seat venue. It reopens with a charity concert, headlined by York band Huge, on 10 May. The centre was originally built as a leisure and entertainment centre - which also boasted a swimming pool and gym - but closed in 2004 after operating at a loss for many years. It reopens this week - but this time solely as an entertainment venue. Nick Reed, the theatre's director, said the priority has been to create a dedicated entertainment venue, offering popular artists. He said: "For this building to succeed it needs a singular purpose, which it probably lacked in the past. "We will concentrate on entertainment and with that in mind we've created a programme of standard rock gigs, orchestral music and seated music concerts." Mr Reed also said SMG would be looking to attract major events that would bring a national audience to the city: "We've already signed the UK Snooker Championships for December. "We knew they used to held in York and were very popular so we were really keen to see if we could get them back." Other artists appearing this year include Pete Doherty, Jane McDonald and John Barrowman. 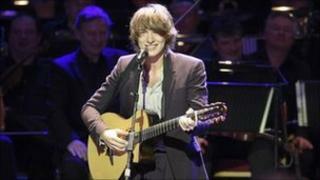 The charity concert on 10 May will be followed by a gala performance by the BBC Philharmonic on 14 May.